Do I Qualify For an Annulment in Florida? Annulment is a legal tool that is frequently misunderstood. The confusion tends to stem from the fact that annulment laws differ a bit from state-to-state and that civil annulments and religious annulments are not the same thing. A “civil annulment” can only be granted by a family law judge and invalidates a marriage in the eyes of the law. This differs significantly from a “religious annulment” which is generally granted by religious leader and annuls the marriage only in the eyes of a particular religion. This article briefly describes how civil annulments differ from divorces and outlined the grounds on which an annulment can be granted in Florida. However, for case specific information be sure to consult with a Florida family law attorney. There are two different ways to legally dissolve a marriage in Florida; divorce and annulment. However, these two legal processes operate in very different ways. When a divorce is granted the court is declaring that a valid marriage has legally come to an end. On the other hand, when a court grants an annulment they are stating that a valid marriage never legally existed between the couple because the marriage was invalid for some reason. 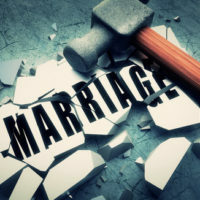 Unlike a divorce, which can be obtained in Florida if (a) the marriage is irretrievably broken or (b) one of the spouses is mentally incompetent, an annulment will only be granted in Florida under a limited number of circumstances. Mental incapacitation of one or both of the spouses. However, just because a married couple qualifies for an annulment under one of the grounds listed above does not guarantee that the state of Florida will annul their marriage. For example, if the couple has consummated the marriage the court may determine that the marriage has been ratified and is no longer voidable. Here at the Mander Law Group we understand that ending a marriage can be an extremely stressful ordeal for everyone involved. Our experienced family law attorneys strive to make this trying time a bit more manageable by supporting our clients throughout the entire process, clearly explaining all of their legal options, and tirelessly fighting to protect their rights every step of the way. If you would like to discuss your legal options, contact our Dade City office today at (800) 557-0411 to schedule a confidential initial consultation.